Opis: Not all evolving stars eject gas clouds that look like people. OH231.8+4.2 was a star much like our Sun that ran out of nuclear fuel to fuse in its core. It has therefore entered the planetary nebula phase, where it throws off its outer atmosphere into space leaving a core that will become a white dwarf star. 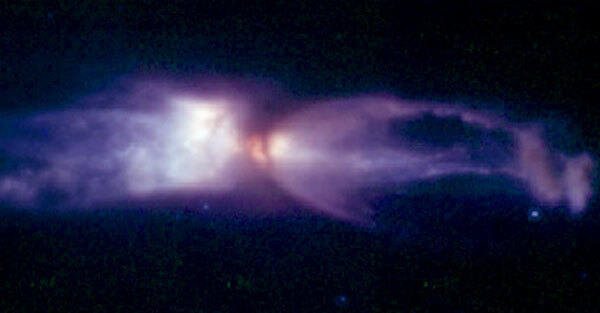 Every Sun-like star creates a different planetary nebula though, and OH231.8+4.2's looks eerily like a person! Spectacular jets of streaming gas can be seen in this recently released photograph by the Hubble Space Telescope. The gas cloud has been dubbed the Rotten Egg Planetary Nebula because it contains unusually high amounts of sulfur, an element that, when combined with other elements, can smell like a rotten egg. 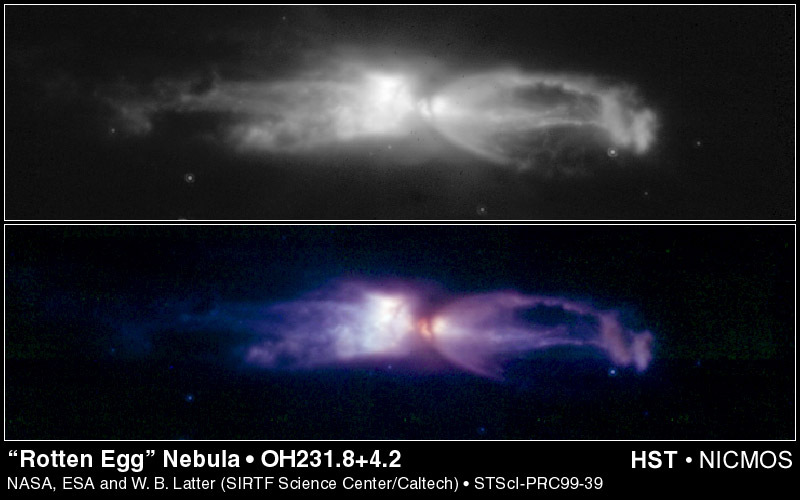 This young planetary nebula will likely change its appearance over the next few thousand years and eventually disperse.